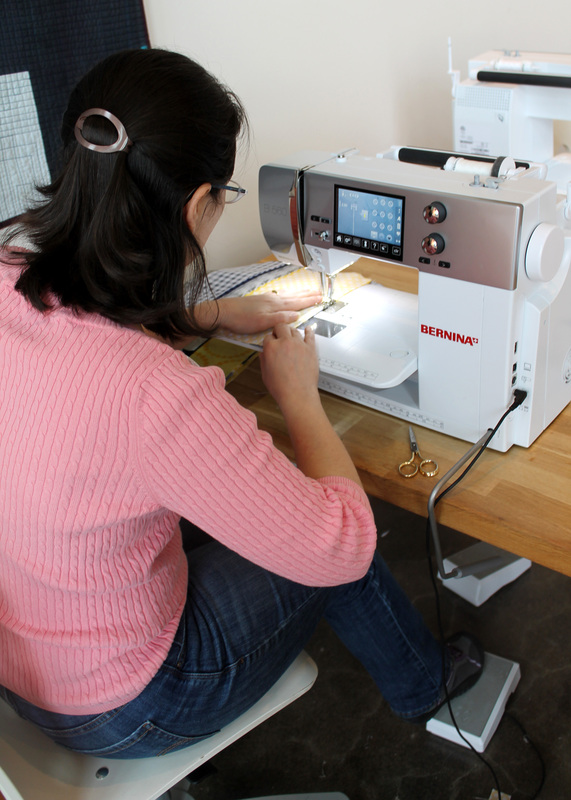 This week Paper Piecing Monday was usurpered by Portland Modern Quilt Guild’s Charity Sew Day.. sorry. 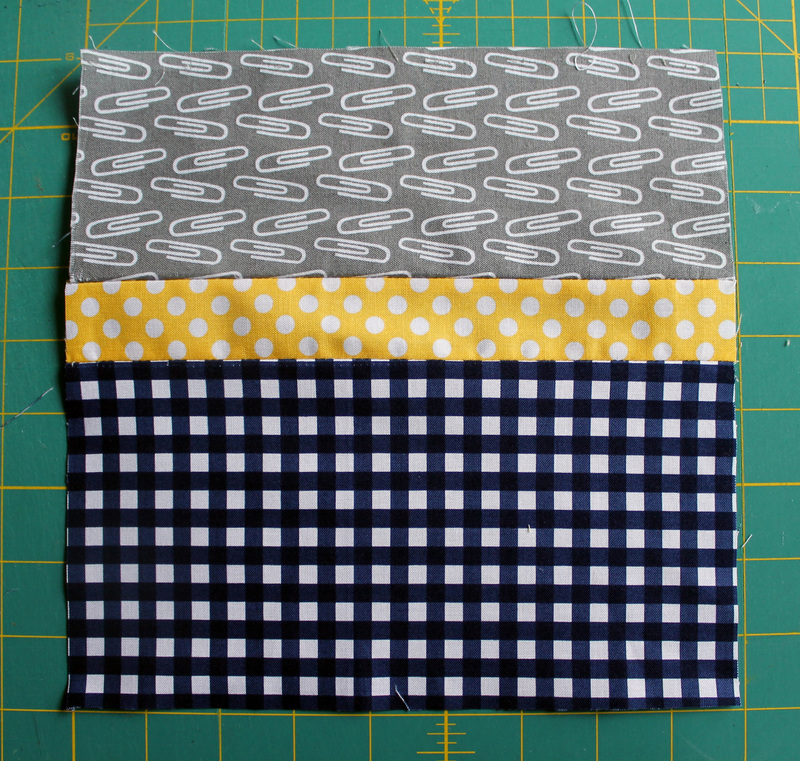 I have decided on a new paper pieced quilt and have designed the first block for it, but have not had a chance to test the pattern… but I promise it will be ready for next week. In the meantime I thought I would share some of the fun of yesterday… where a group of PMQG members took over one of the class rooms at Modern Domestic for the day and made quilt tops. We had a collection of fat quarters and fat eighths left over from the Riley Blake challenge and our challenge was to make some quick and easy quilt tops out of them. 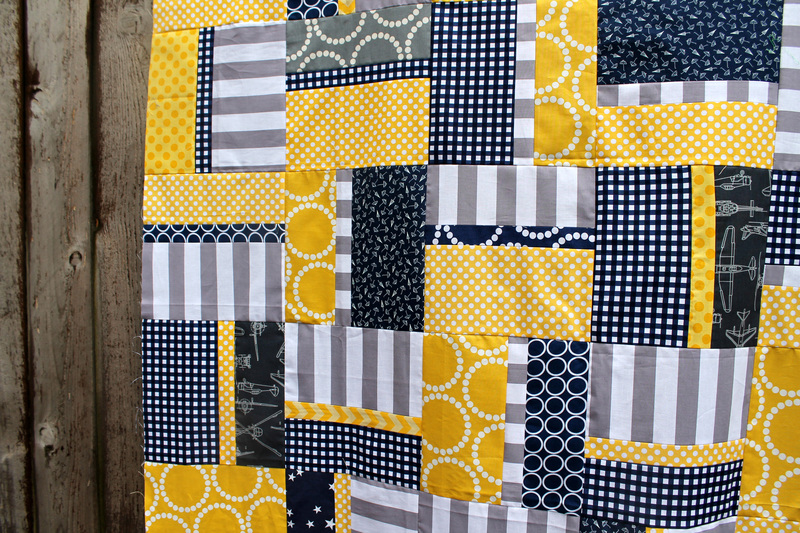 Rachel from 2nd Avenue Studios and I spearheaded this adventure and we quickly settled on a modified rail fence and three of the fabrics from the Challenge – the yellow dot, the navy check and the grey stripe. We supplemented the Riley Blake with some other graphic prints in our colour way, all boy appropriate, as our Charity needs teen boy quilts (yes I am the one that added the Pearl Bracelets!). 2. Cut our nine inch strips into sections of 5 inch, 3 1/2 inch and 1 1/2 inch pieces. We made sure we had a variety of each colour in ever size. 3. Selected the strips for our block making sure there was one of each colour… then using a scant 1/4 inch seam we sewed the pieces together to get our finished 9 x 9 inch block. 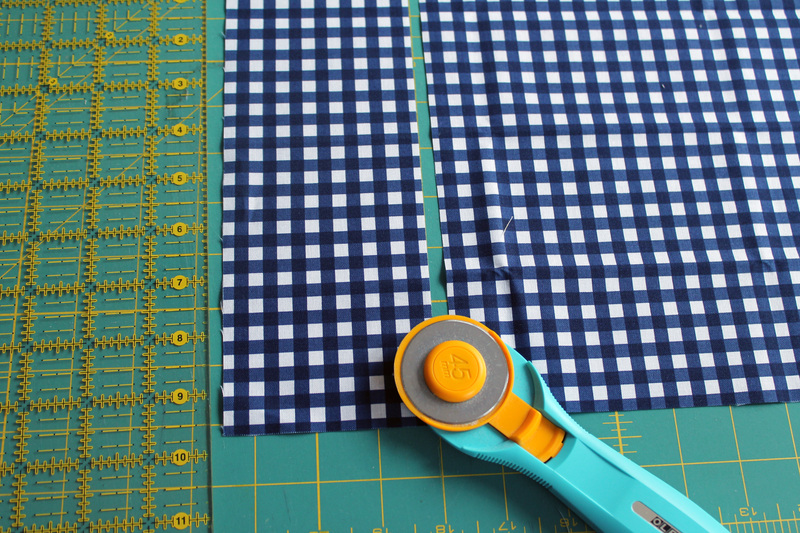 You can easily build in some wiggle room with this block by cutting your fabric strips from your yardage at 9 1/4 inches wide (it is a little harder with fat eights, but with the fat quarter cuts we cut 9 1/4 inches from the 21 inch width). 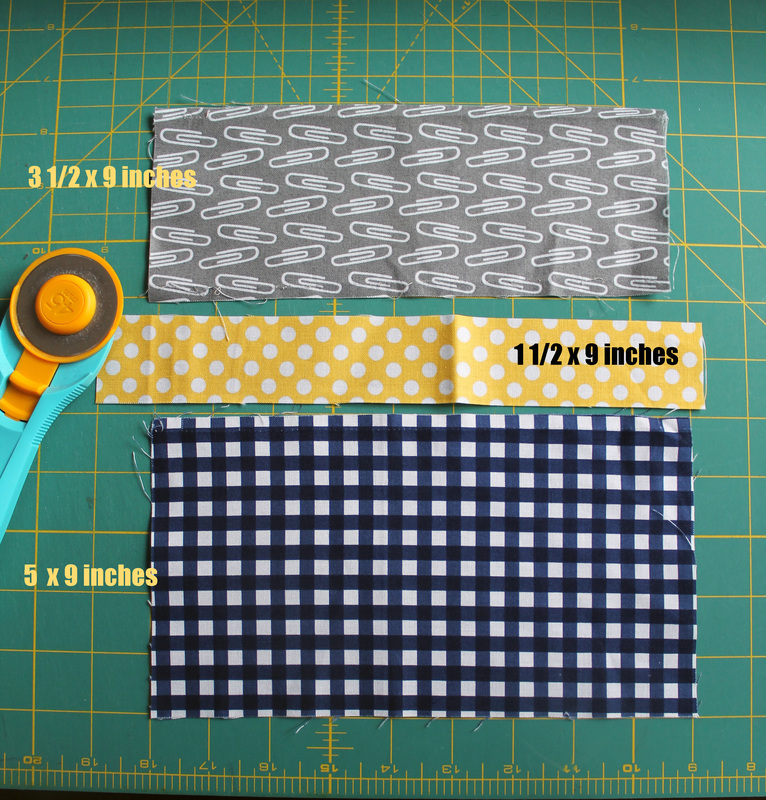 If you are struggling to get a scant 1/4 seam allowance you can add some wiggle room the other way, by cutting 5 1/4 inch or 3 3/4 inch pieces… and then trim the finished block as needed down to 9 x 9 inches. 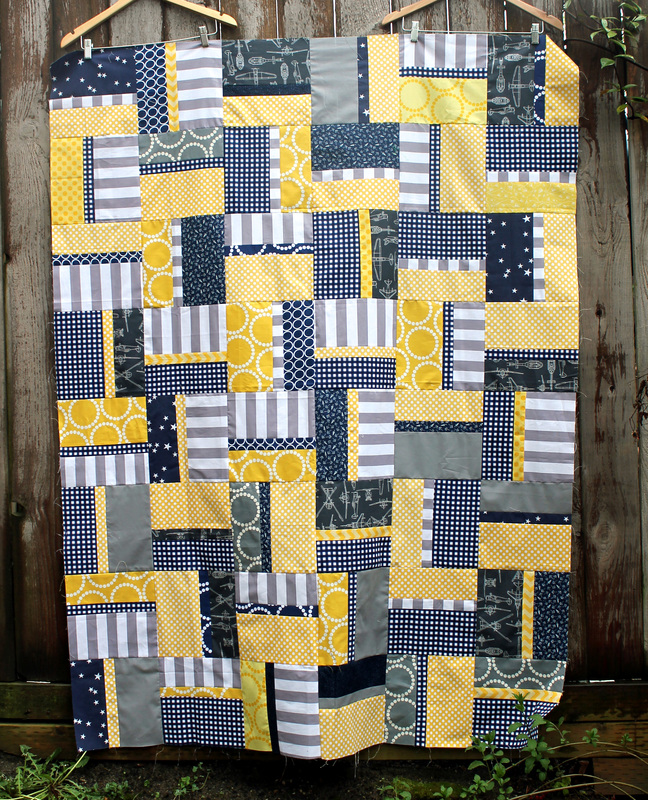 And viola you have a fun, easy but striking quilt top. Thanks to everyone’s efforts we managed to get two tops finished yesterday… in between the socializing, laughing and cake eating. Not a bad way to spend a Monday I must admit. Once again I am surprised to like the gray stripe fabric! 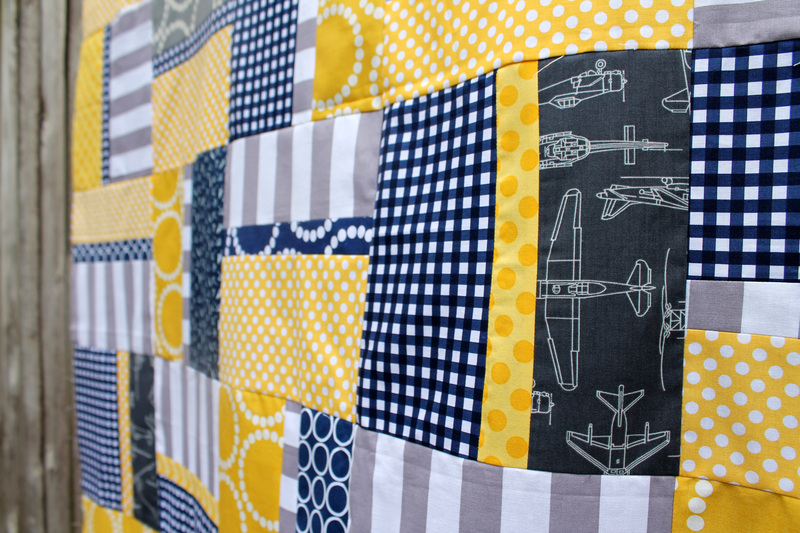 Love this quilt and how complex it looks in spite of the simple directions. Cherri the head of Camp Erin dropped off thank you cup cakes to us. It was such a sweet gesture and delicious. What a great idea! I’m always looking for appealing boys quilts ~ and this defiinitely is one! Hey, Cath, those aren’t pearl bracelets, they are baseballs! (Well — why not?!) You guys did a great job on those quilts! Love the colors! The black makes the yellow POP! And don’t worry about the paper piecing, it will come. Looks like a fun time and the teen boy quilt is really going to brighten a camper’s week this summer! Love the paper clip fabric!!! I am going to make this for my next baby quilt. Her baby room colors are purple, teal, grey, and white. It will be gorgeous! Oh I love your colour choices. It is going to be fabulous. I used this one twice. I love the pattern! Perfect for a quick baby quilt.